Best suited for daily use in the smart and casual wear. Detailed eyelet and unique finish. A Must-Have For Modern Men Are These Shoes From Alberto Torresi. Allowing You To Step Out In Style, These Pairs Will Lend You A Smart Look. 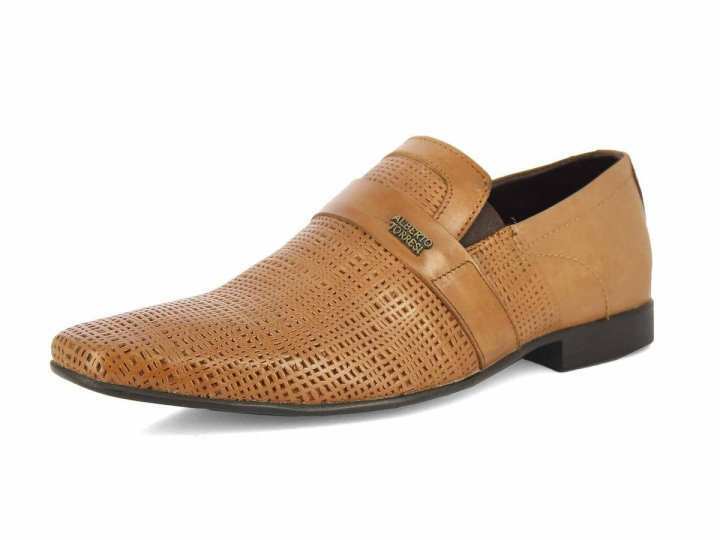 Made From Leather, These Shoes Are Durable And Feature Excellent Finish. The Tpr (Thermoplastic Rubber) Sole Offers Great Flexibility. Wear These Shoes With Your Formal Outfits To Make A Distinct Style Statement.